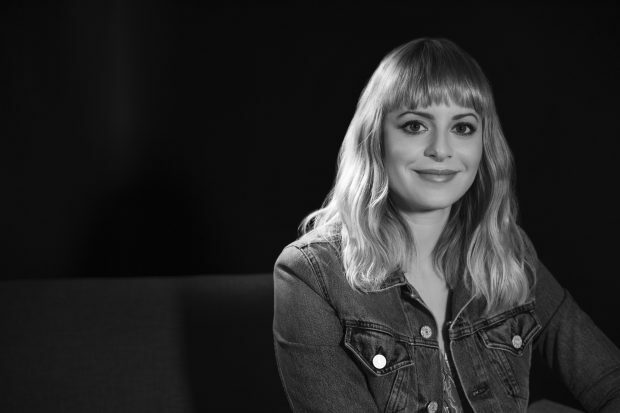 Sophia Amoruso has always done things her own way. In following her instinct, Amoruso’s wildly successful career began when she was just 22 and running an eBay store re-selling vintage clothing. Almost a decade later, Amoruso, founder of the edgy women’s online fashion store Nasty Gal, has a net worth estimated at $250 million. So what’s her secret? The self-taught entrepreneur and best-selling author of the memoir #GirlBoss believes that creating a business has to be done in the way that makes most sense to you. 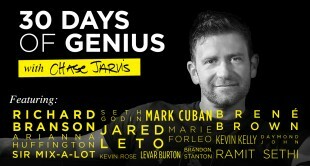 That’s something Amoruso talks much more about in her full interview over on 30 Days of Genius. “There’s no right way. There’s what you have, and what you do with what you have. Learning things from school or from being told those things is one way of learning. But you don’t learn as completely as when you actually develop the muscle memory by doing it yourself,” says Amoruso. For most creative entrepreneurs, a business starts simply by following the long, bumpy and unknown road from inspiration and intuition to creation and monetization. There is no perfect roadmap. You can make a business out of virtually anything. “It’s what you’re doing and how much it adds up to. And nobody knows that but you. That’s building a business, that’s being an entrepreneur,” says Amoruso. But without a map, you’ve got to start somewhere and make decisions along the way. Amoruso knew she enjoyed fashion, knew she had a good eye for photography, and so she continued to develop these skills and talents as her business grew. She simply made the decisions that felt right for her and for her business. “Then I realized I was good at building a brand. Then I realized I was building a brand. And then I thought, ‘Why am I doing this on eBay?’ So then I started a website. You don’t have to have all the lingo or all the friends,” Amoruso points out. In business, you don’t need all the lingo or all the friends. But who needs friends when you have several million social media followers? Currently, Nasty Gal has over 1.2 million Facebook fans and 2.1 million Instagram followers. Social media has always been part of the equation for Amoruso’s success, dating back all the way to her eBay days when she advertised to her constantly growing friends list on MySpace. And in 2012, Amoruso transitioned from vintage clothing to selling original designs, using her strong and loyal customer base to help get the independent collections off the ground. Learning by doing was Amoruso’s path to success, and “we never know when or where we are going to learn something,” she adds. Which is why Amoruso believes strongly in the power of telling and sharing our stories to help inspire and motivate others to succeed. The road to entrepreneurship can be a lonely struggle, but hearing the stories of others’ struggles can teach us something, offer an important insight or just make something click inside. In fact, Amoruso’s intention of writing her “business bible/memoir” entitled #GirlBoss was just that: to offer hope, inspiration and encouragement to the thousands of women who write to her daily and who also hope to someday start their own business. The book, published in May 2014, was quite well-received—a New York Times best-seller, in fact–and proved that Amoruso knows her audience well. Not that it comes as a surprise, as her audience consists of a customer base that she’s been growing and nourishing carefully for almost a decade. But if that sounds daunting, reaching out to and affecting so many thousands of people actually starts on a smaller, more personal scale. 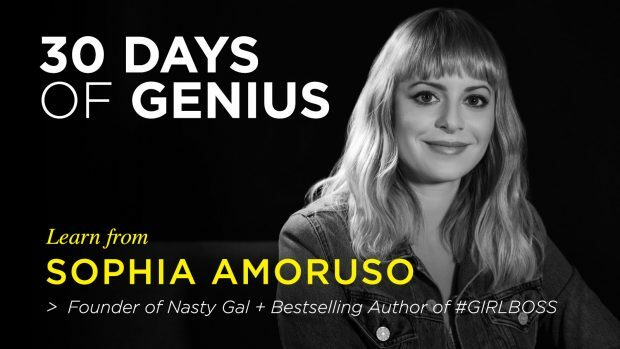 For more with Sophia Amoruso on how she’s grown a fashion empire, watch her full interview on 30 Days of Genius.